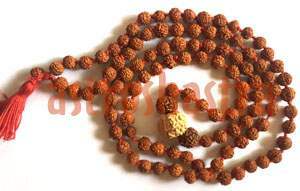 Kaal sarp dosha nivaran mala is one of the most auspicious and sacred rosaries. 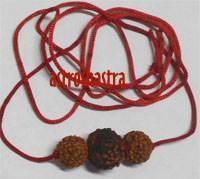 This rosary removes the Dosha. It is believed that dosha occurs in the life of those people who must have committed a sin of killing any serpant in their previous life. In the horoscope, when one all the planets are between Rahu and Ketu , this rosary is recommended. 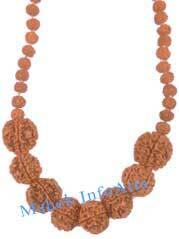 Mala is made by Four Eight Mukhi and Four Nine Mukhi h Beads in Small Five Mukhi Rosary. It would be energized in your name by specific ritual to give you maximum effect. It negate the malefic effects of this yoga to a great extent. 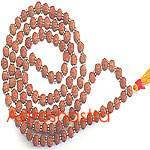 This Dosha Occurs which all the nine planets are hemmed between Rahu and Ketu in a particular Horoscope. 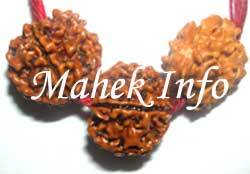 Eight Mukhi represent Lord Ganesha pacifying Rahu and Nine Mukhi representing Goddess Durga pacify Ketu making a perfect cure for Dosh in any Horoscope. There is no yoga if there is any planet with Rahu or Ketu axis. To know more about it read our Article on Kaal Sarp Dosha and its Remedies . 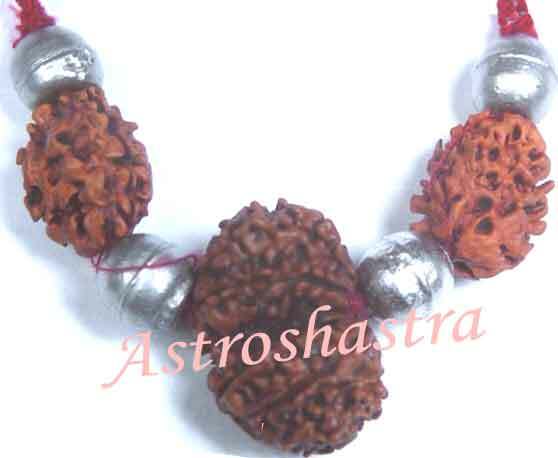 Astroshastra experts recommend various remedies like Yantras and Gem Stone Pendant to nullify this Yoga . We also conduct Kaal Sarp Dosh Nivaran Puja for people whoc have this Dosha in their Horoscope. You can mail us at consult@astroshastra.com for more details.